All this could be yours, plus: free food! 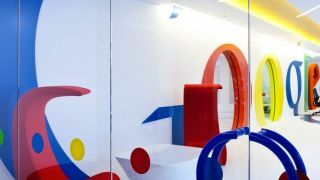 Google's oft-visited job search page has been given a Google+ flavoured makeover, allowing users' job hunts to be tailored to their G+ profiles. The popular Google Jobs board now lets you use Google+ profile data to narrow your search results down. This leaves job hunters with customised job recommendations, the ability to follow with existing Google employees, the opportunity to sign up to job alerts and the option to star likely looking roles. What may come in most handy for those looking to make the move to the free-food-great-salary jobs at Google is the quick and easy application process. A quick tap of the Apply Now button and you'll already see your name, email, education history and employment history already filled in on the form (assuming you've put all that info into your Google+ profile, of course). Google is desperate to get you using Google+ on a more regular basis so we can easily foresee this easy-application stuff being sold to other companies in the future. For now, just be careful you don't hop skip and click your way into applying for that dream Google job after a night on the tiles.